On May 10, 2014, Numerous donors and especially the San Pasqual Reservation, Valley View Casino & Hotel in San Diego County, California again assisted with the shipment of donated items to the Tuba City, Arizona. 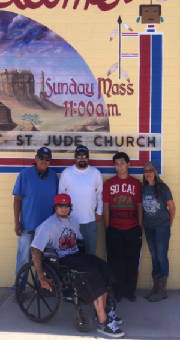 We delivered a 26 foot truck full of items to Native individuals and families in need on the Navajo Reservation. Further, Valley View Casino again paid for the shipping, we are thankful for their continual support. 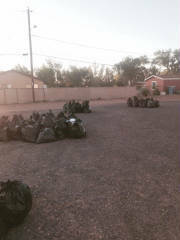 On May 10, 2014, we drove a 26 foot truck full of clothes for every age gender which included toys, food, foot wear and miscellaneous personal items to Tuba City on the Navajo Reservation in Arizona. The Navajo name for Tuba City, Tó Naneesdizí translates as "tangled waters". 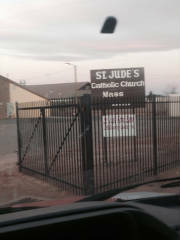 We made our delivery this time outside the Saint Judes Catholic Church where we were met by Sister Mary who thanked us for our relief efforts. 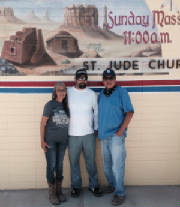 Again our point of contact who designates our delivery points for each delivery was Vanessa who is Navajo-Lakota. Our organization's President Huumay Quisquis lead a team of volunteers from Southern California Indian reservations in San Diego County. Most of them were from the San Pasqual Indian Reservation. 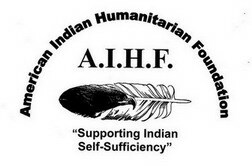 Again keeping with our slogan "Indian-Helping-Indians". In these photos we had to drop off the truck immediately after delivery, therefore when we came back a few hours later many of the items had been distributed to individuals while others loaded items into their vehicles to deliver to numerous remote locations where the needs are the greatest. However, we did get some good pictures as seen here. Looking through items for their families.